Here at Trusty Oak, we have a special place in our hearts for authors (who are often also speakers) because we love learning and we believe reading is a critical element to an entrepreneur's professional development. 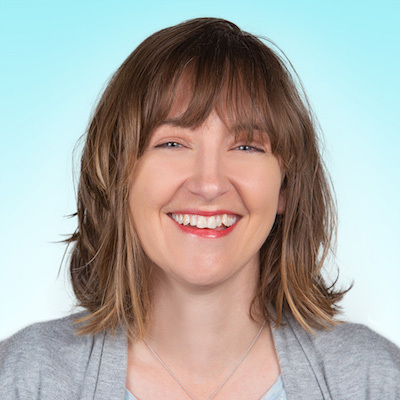 Of course, we also love working with authors, and there are several ways virtual assistants can help them with their personal brand and book promotion. 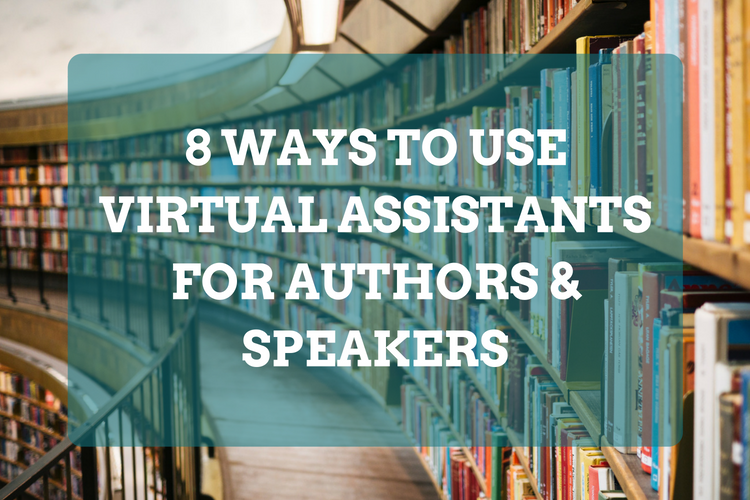 Read on for eight ways to use virtual assistants for authors and speakers and estimated costs. As an author or speaker, your website is the most important element of your personal brand. Your readers, members of media looking for experts, and organizations searching for speakers for their next event will most likely "meet" you online before they ever buy your book, ask for an interview, or hire you. Is your website making a great first impression? If your website is on Wordpress, SquareSpace, or another similar content management system (CMS), most virtual assistants could make basic content updates that don't involve coding or designing. Your social media channels are very close relatives of your website and, it's important to have a consistent, up-to-date brand everywhere you appear online. If someone isn't searching Google, they may be searching Twitter or Facebook to find you. If their search on those platforms turns up a tired, neglected profile, it's less likely that they will stay long and certainly more likely that they will move on to the next thing in their feed without giving you a second thought. Some higher-level virtual marketing assistants can even provide you with a platform-by-platform digital marketing strategy to increase your brand-awareness and engagement. For more about Trusty Oak's marketing strategy, check out our client case study for Austin Kids Can!, an Austin-based non-profit. If you are speaking regularly, hopefully, you are recording your presentations. Even if the video quality turns out bad, there is still potential value in capturing the audio and even further value in transcribing audio clips to be repurposed on your blog or social media. Web crawlers cannot read video content, so adding a text version of your video content can help improve search engine optimization for your website? 85% of Facebook videos are watched without sound turned on? Transcription is one of the easiest ways to extend the life and value of your video and audio content. Interested in our transcription services? Another key piece of a good digital marketing strategy includes email marketing. In particular, for speakers and authors, it's important to build your email list and use a monthly newsletter to update your engaged followers regularly. Before you can send a newsletter, you need to have a list of contacts, but be sure you have obtained that list legally and asked users to opt in. If you aren't familiar with the CAN-Spam Act of 2003, read this to make sure you are sending emails legally. Quick Tip: Two easy ways for authors and speakers to start building an email list are to add a sign-up form to your website and to set out a paper sign-up sheet at speaking events and book-signing events. Start building your list even if you aren't ready to send emails. Don't miss out on this budget-friendly way to keep your brand front-of-mind with the people who have expressed interest in what you do. This one is especially valuable for authors and speakers in high-demand, or for those that also provide consulting services. If you are receiving a high number of email inquiries and exhausted with the back and forth correspondence required to nail down phone calls and meetings, consider utilizing a virtual assistant to manage your inbox and schedule appointments for you. In addition to reducing your stress level, having an assistant adds a level of professionalism and credibility your clients are sure to appreciate. It's not always easy to get media coverage, especially if you are a first-time author, but the good news is that hiring a PR firm is not your only option. There's a great resource available to all of us so you can do some work yourself or hire a virtual assistant to monitor HARO queries. "the most popular sourcing service in the English-speaking world, connecting journalists and bloggers with relevant expert sources to meet journalists’ demanding deadlines and enable brands to tell their stories." When you sign up as a source, you receive an email three times per day which includes a list of requests from outlets ranging from big media like The New York Times and Wall Street Journal to local journalists and bloggers. You or your VA can monitor these queries for experts in your industry or topics relevant to your experience. Then you respond to the masked email address with answers to the journalist's questions and include a brief bio. If they are interested in featuring you in their piece, they will contact you. This is a great supplement to your other marketing efforts and could open doors of opportunity to increase visibility online surrounding a book launch or upcoming event. Even if you are only booking three or four speaking engagements or trips per year, getting administrative support to manage the details surrounding these events can be the difference between arriving frazzled and unready and arriving confident and prepared. Not only does this affect how you feel at the moment when it's critical that you are on your A-game, but it also affects the impression you make on your clients and your audience. Let a virtual assistant handle the tedious activities while you refine your presentation and get a good night's sleep. If reviewing your to-do list overwhelms you, and it seems like every item is impossible to delegate, consider hiring a virtual assistant to help you get and stay organized. Sometimes we just need someone to help make sure important things don't fall through the cracks and to remind us of our priorities. Hiring a virtual assistant is arguably one of the best decisions you can make when preparing for a book launch or a speaking tour. Great virtual assistants are natural organizers and coordinators. Believe it or not, there are some people out there who think it's fun to bring order to a chaotic situation. Those people are the ones you want on your team when you need to be laser-focused on your craft and not bothered by the distracting nuances of admin. If you are ready to prioritize and strategize, let us help you find the perfect virtual assistant for you.